Willie Mays Hits a Coca-Cola Home Run! Although Willie Mays retired with 660 home runs, I think I witnessed him hit a 661st home run yesterday at Coca-Cola Headquarters in Atlanta as he fascinated employees with stories of his life, career, and Coca-Cola (of course). Mays, a Major League Baseball Hall of Famer, was in town to speak about his time growing up with Coca-Cola in his native Fairfield, Alabama on through his professional career, when he was featured in Coca-Cola advertising beginning with this carton insert in 1952. Mays spoke about his famous plays on the field with baseball historian and announcer Marty Laurie, who served as moderator for the conversation. Mays also mentioned the fact that he was a huge fan of Coke and peanuts. 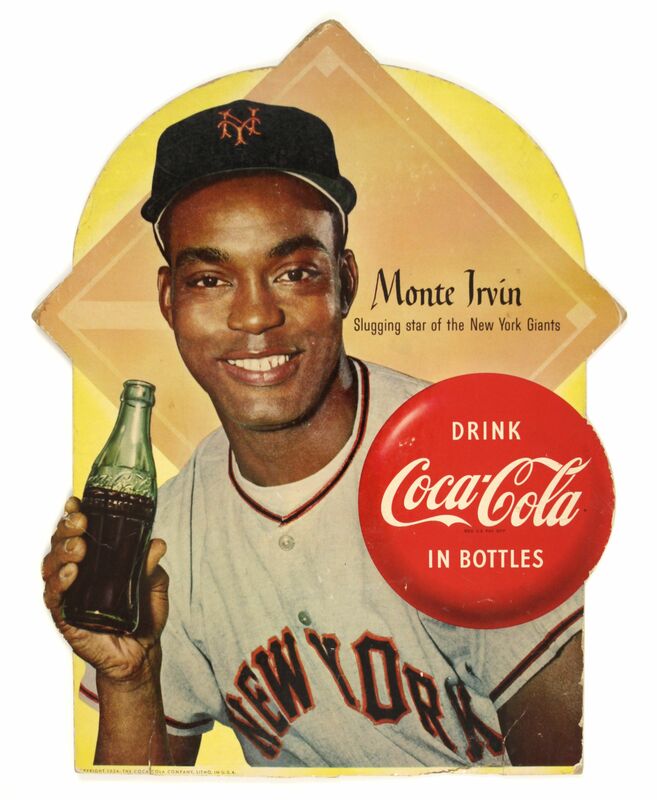 Before games he often played bunting games with his manager Leo Durocher and teammates Monte Irvin (who also appeared in a Coke ad) and Hank Thompson, wagering bottles of Coca-Cola. When one of them missed a bunted ball, they owed a Coke. And every few minutes they took stock. One day, Durocher yelled, "How do we stand?" One of the players shot back jokingly, "Durocher two, Irvin two, Thompson one and Mays eight." Mays asked surprisingly, "Why man? I only missed once!" The next time Mays made a nice stop, he'd say, "Now I'm all even. That was the redeemer!" The New Yorker magazine once quoted Durocher as saying, "By the end of spring training I figured Willie owed me about one million three hundred thousand bottles of Coke." An article in the 1954 issue of The Refresher magazine included the story of these games and mentioned that all of Mays’ New York Giants teammates kid him about his thirst for Coke. In fact, the cover story of the July 26, 1954 issue of Time magazine said Mays drank Coca-Cola by the case! (L-R) Ted Ryan, Coca-Cola Company Director of Heritage Communications, Former AT&T and MediaLink Executive Eric Fernandez, Willie Mays and Baseball Historian and Announcer Marty Laurie.